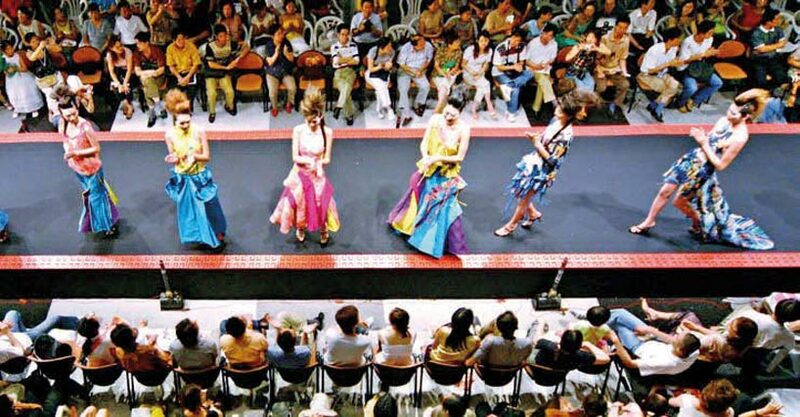 Chinese clothing is the kaleidoscope of country’s social life. From blue or gray on everybody to endless varieties, Chinese people’s wardrobe speaks of a fusion of tradition and modernity, reflecting a mellow contentedness that permeates their lives. It was the evening of September 21, 2009, on the London Spring/ Summer Fashion Week catwalk. The show opened as traditional Chinese instruments like the erhu and the cymbal produced Chinese style music that permeated the scene with ethereal beauty. Yellow-skinned, black eyed Chinese models and blonde Western models walked the same catwalk, displaying creations that were exclusively Chinese. Chinese designer Xie Haiping said that he had designed these clothes for this show in order to celebrate the 60th birthday of his motherland: “The show was dominated by the color red, which is a Chinese symbol of prosperity and happiness, and the design elements came from the Chinese knot and Chinese totems. I had hoped that this would bring a visual shock to a Western audience. The winds of Chinese fashion that were “blowing” during the London Fashion Week attracted many international fashion designers, and chinese clothing designers in particular. Less than two weeks before, the New York Fashion Week had staged a similar event: Ethereal butterfly patterns and elegantly supple silken textures, all flowing through the tuneful melodies of The Butterfly Lovers, were the elements in a “Chinese Style, Chinese Charm” show presented to a Western audience by Vivienne Tam. It is not just world famous fashion cities such as London and New York nor just the autumn of 2009 that has favored Chinese elements; indeed, Chinese elements have long received favorable attention from the rest of the world. It has been said that clothing is a mirror reflecting changing times. “Because of the greatness of her rites, China is called Xia and also Hua, because of the beauty of her clothing.” Thus commented Kong Yingda, of the Tang Dynasty (618-907), in his annotations to the Chronicle of Zuo, our country’s first book of chronicles with detailed narratives. 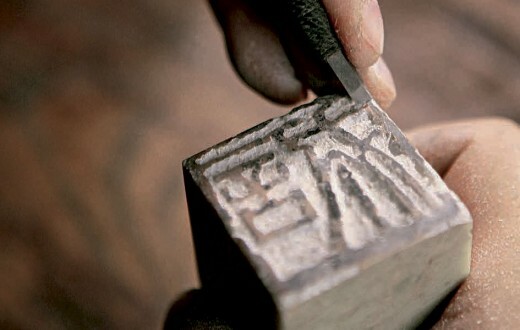 The ancient China always enjoyed the reputation as “a country of superior clothing”. 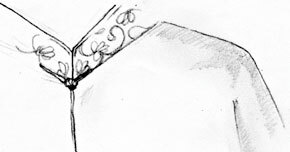 A type of collar that stands upright closely against the neck. These are sleeves that have a center seam and are of one piece with the garment body. They are the dominant sleeve style for traditional Chinese upper garments. A Chinese style of upper garment that opens vertically in the center front, with buttons set down the center placket. Knot buttons, AKA knot buckles, are a type of button used in traditional Chinese clothing to fasten garment fronts or accessories. The 2009 national anniversary has been an occasion for the country’s various walks of life, including Chinese clothing professionals, to indulge in reminiscences of the 60 years (one jiazi cycle) they have gone through. Just as the new China has by now developed for 60 years, so Chinese clothing has experienced 60 years of changes, changes that have been visible on each and every citizen. Shi Zhonghua, born on the same day as the new China, has always kept a grass green army uniform that he wore in his younger days when such an outfit was the ultimate style. 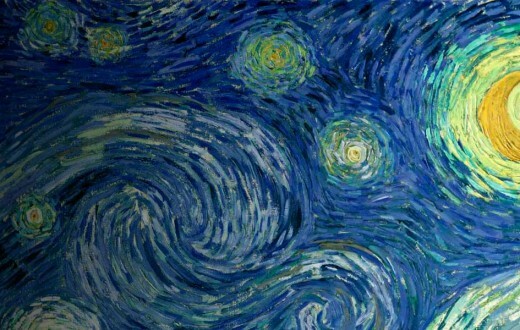 In all the streets, green-gray-blue were the dominant hues seen. Outfits such as bib overalls for workers, and Lenin and Zhongshan suits ensured there was no gender differentiation nor uniqueness of personality. In the 1950s and 1960s, such homogeneous popular Chinese clothing was the only thing to choose from for Shi Zhonghua and her parents’ generation. And then, as if overnight, the spring breeze of the 1980s awakened people’s dormant yearnings for beauty. Streets and lanes were pervaded with bell-bottom trousers, Sachiko’s student uniforms (Sachiko was the heroine in the Japanese TV drama series The Blood Doubts), and red skirts. Shi Zhonghua recalls taking a vanilla-colored piece of fabric to a tailor shop, to have a one-piece dress custom made for her. She wore it for a long time. 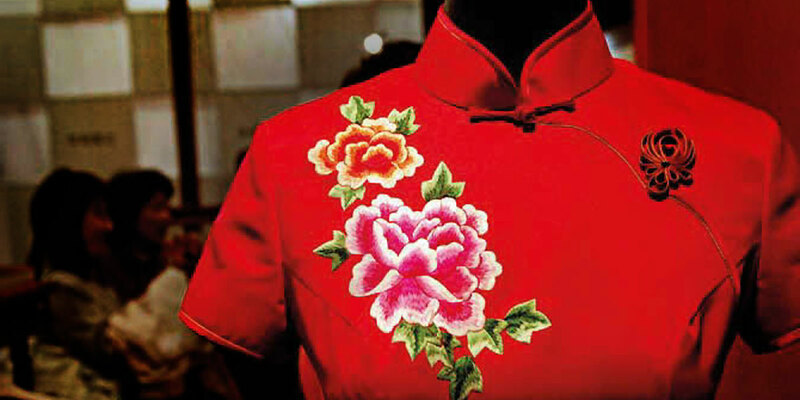 From an emphasis on basic quality and comfort required to fulfill the functional needs of covering the body and keeping it warm to clothing with an eye on variety of styles, uniqueness of designs, and a cultural dimension associated with brands, the past 60 years have witnessed Chinese clothing evolving back and forth. 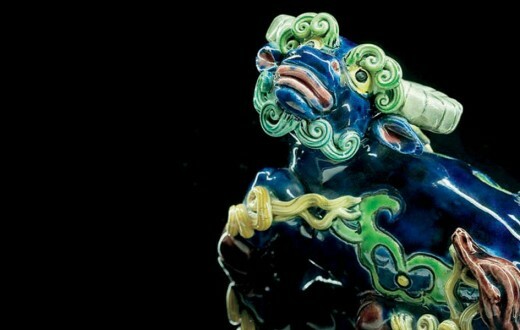 Into the 21st century, Chinese elements and Chinese styles are returning to clothing fashions. 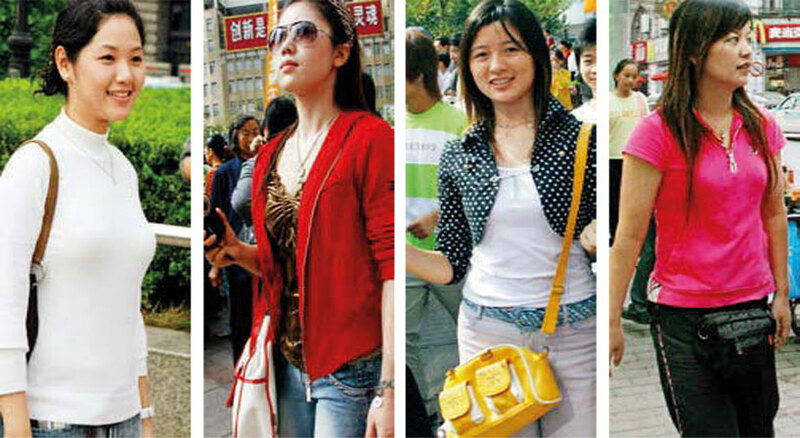 In clothing choices, Chinese people are also changing from mere copycats to establishers of their own fashions. Chinese clothing now means consumption not only of materials but also of culture, for it serves as a channel through which consumers reveal themselves and express their lifestyles and values. The foreigners in Shanghai Art Museum, quite curiously, seeing the exhibition of Qipaos. 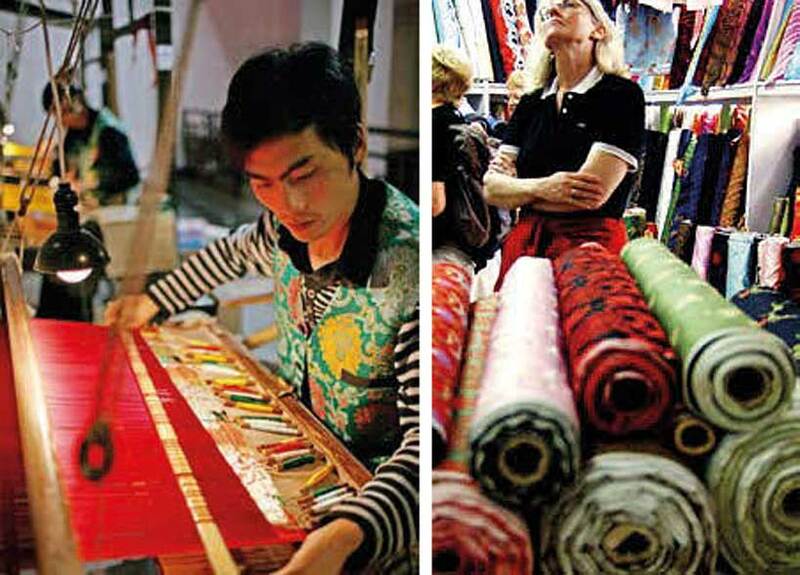 In Beijing’s Silk Street Market, Liu Jin owns a store that takes orders for custom-made and mass produced clothes in addition to selling varieties of satin, silk, and other fabrics. Liu Jin said that the orders taken at his store are primarily for Qipaos and Tangzhuang. “Those who come to my store for these clothes include both Chinese and foreigners. During holidays or peak wedding seasons, there’s always a stream of customers that seems endless,” was Liu Jin’s exultant description of his Chinese clothing business.  Into the 21st century, Chinese clothing has received worldwide attention as a cultural trend and commercial mainstream. Along with the global popularity of Qipao and Tangzhuang, Chinese elements in the world’s clothing arts have become more and more widely manifested. During the APEC Summit in October 2001, posing on the stage together in Chinese Tangzhuang were the leaders of 20 countries. Yes, the leaders were all wearing Tangzhuang, either red or sapphire blue, with Chinese-style buttons down the front. 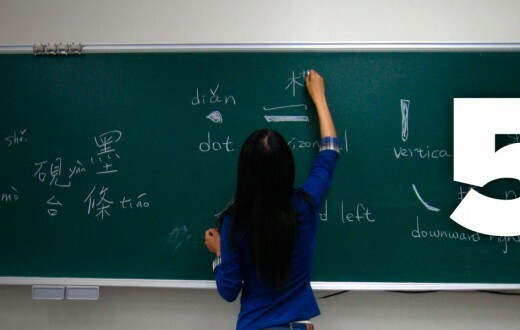 Since then, the Chinese Tangzhuang has rapidly achieved popularity around the world. Yu Ying, one of the original designers of the Tangzhuang worn by the APEC leaders, recalls that the designers, after they had completed the designs, held discussions as to what name these suits should be given. 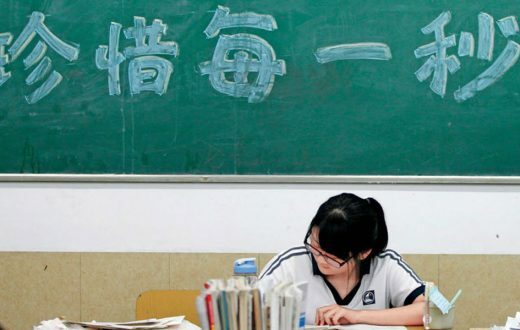 They finally settled on “Tangzhuang”, said Yu Ying, “mainly because, outside China, Chinese neighborhoods are referred to as ‘Tángrénjiē’ (meaning Chinatown). It’s only natural, then, that suits worn by ‘Tángrén’ (Chinese people) should be called ‘Tangzhuang’. Another reason is that Chinese people are proud of the Tang Dynasty, (618-907) a period when China was most powerful and prosperous. Also, some overseas Chinese had already begun calling Chinese-style clothes ‘Tangzhuang’. As a generic name for Chinese-style clothes, today’s Tangzhuang in not simply a development from Tang Dynasty clothing. 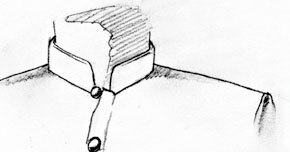 Tangzhuang has four major stylistic features: standing jacket collar that opens in front; raglan style sleeves with no seams between the sleeves and the garment body, thus the dominance of planar cutting; buttons set vertically or slantingly down the front; rectangular buttons (also called knot buttons), each consisting of a button knot and a button loop. The predominant fabric for Tangzhuang is brocade satin with traditional Chinese patterns – five-color earth, dragon, phoenix, crane, butterflies, peony, lotus, and the Chinese characters “ 龙lóng” (dragon), “ 寿shòu” (longevity), or “ 福fú” (happiness). Flowers like peonies and pomegranates –– either individually or in clusters, Chinese characters like “ 福” fu (happiness) and “ 寿 shou (longevity)”, and the “ 囍xi（double happiness) ” pattern are all symbols of good fortune and festivity in traditional Chinese ornamentation. According to the designer, today’s Tangzhuang is a product of many improvements upon its traditional versions, retaining the essence of its style while incorporating modern elements. 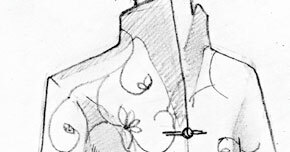 Chinese style garments of today, she said, seldom use raglan style sleeves, for such sleeves mean the absence of shoulders, which in turn precludes the use of shoulder pads, thus compromising the garment’s aesthetic appeals. While today’s Chinese style garments are all drawn in at the waist, the traditional garments were not; therefore, they are not able to accentuate the feminine figure. Whereas the skirts of the past had a narrow lap, which forced the wearer to walk in but mince steps, the modern skirts are designed with a wider lap, allowing for more freedom of movement. In the case of the Qipao, it traditionally had slits much higher up than it does today; modern Chinese ladies, though in general much more open than our ancestors, find it awkward to be in a Qipao with very high slits. “Modern Tangzhuang is a combination of tradition and modernity, because it draws upon the Chinese cultural tradition in style and fabric, and at the same time takes advantage of three dimensional cut used in Western garments,” said Yu Ying. And then in the years before the Tangzhuang came into vogue – in the first year of the new century – a romantic film in the style of the old Shanghai, In the Mood for Love (literally Flowerlike Years), ignited a long-lasting craze for the Qipao. 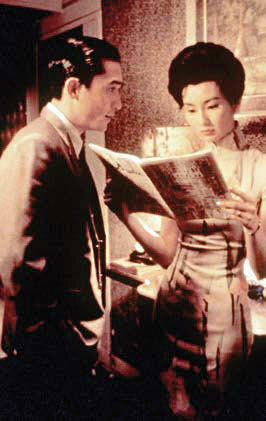 The movie “In the Mood for Love” inspires a long-lasting Qipao fever. The twenty or so Qipao that adorned the leading actress, Zhang Manyu, not only fanned a revived appreciation of the exquisite beauty of women in the Qipao but also served as an extensive presentation of this typical Chinese clothing style to the world. The modern Qipao evolved from the one-piece dress typically worn by women of the Man ethnic group. It is therefore called “Qipao”, for the Man people used to be known as“ 旗人 qírén” (banner people). 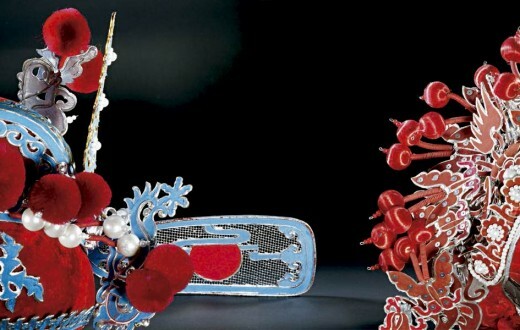 Just as modern Tangzhuang has developed into a combination of tradition and modernity, the Qipaos worn by modern women have also gone through many modifications, resulting in less luxuriance but more fashion. Because a custom-made Qipao can faithfully exhibit the curvaceous rises and falls of the body, it has always won the favor of women both in China and abroad. Clothing also serves to communicate a spirit. Combining fashion with national characteristics by incorporating Western fashion elements into traditional clothing design, Chinese clothing of today is an integration of traditional clothing and modern living with its modern aesthetics. It has indeed assimilated into and is influencing globalized fashion. Clothing is a kaleidoscope of social life. From blue or gray on everybody to endless varieties, Chinese people’s wardrobe speaks of a fusion of tradition and modernity, reflecting a mellow contentedness that permeates their lives.